Property 5: Be the first to rent this all newly renovated 1930s Log Cabin in Corea. Property 7: Come, relax, and enjoy true peace and beauty. Property 14: Come-Stay ...a little slice of paradise! Property 15: Serene, isolated beach-front cottage. Prospect Harbor Oceanfront Cottage on 2.5 Acres! 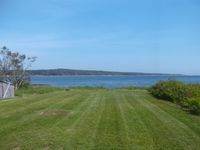 Property 23: Prospect Harbor Oceanfront Cottage on 2.5 Acres! Property 27: The Natural Beauty of Downeast, ME surrounds Pyne Cove Cottage and welcomes you! Property 28: Oceanfront Cottage on 2 Acres - 4 Miles to Town! Property 29: Ocean front house with two private beaches-- on a peninsula--spectacular views! A Renovated Cabin On 3 Acres Of Maine Woods with Ocean Views! Property 31: A Renovated Cabin On 3 Acres Of Maine Woods with Ocean Views! Property 41: Beautiful waterfront home with spectacular ocean views – the perfect getaway! Front Row Seats At One Of Nature's Best Spectacles. Property 42: Front Row Seats At One Of Nature's Best Spectacles. Property 43: Gorgeous Harbor Views On The Wharf! - The Boathouse At Corea Harbor! Rustic Waterfront Cabin w/ Beach in Winter Harbor! Property 48: Rustic Waterfront Cabin w/ Beach in Winter Harbor! Charming Waterfront Winter Harbor Cottage w/Views! 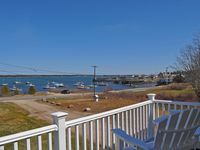 Property 50: Charming Waterfront Winter Harbor Cottage w/Views! Loved this lobster home and all the cute decor. Very comfy bed, all the amenities of home, and gracious hosts.